Early this morning, Sprint sent us some information about how the carrier fared in the latest RootMetrics report. Now, Verizon has reached out to us to let us know how well it did in the same report. First, in response to Sprint's improving numbers, Verizon pointed out that looking at the overall results, Sprint failed to win or even tie in a single state. Meanwhile, Big Red took home first place in 47 our of 50 states. 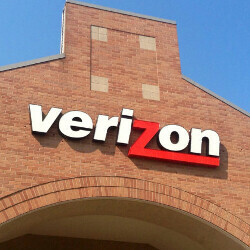 Verizon also scored the highest for overall performance, reliability, data, calls. That makes it eight years in a row that Big Red finished on top for these categories, and the seventh straight for speed. Verizon also points out that on the state level, its results almost doubled the score of the nearest competitor. In cities from coast to coast, Verizon's network finished in first outright or via a tie in 116 out of 125 metro markets. Like its rivals, Verizon is using the latest technologies such as 4x4 MIMO which adds additional connection points between a cell tower and your phone, three channel carrier aggregation which widens the pipeline allowing data signals to move faster, and 256 QAM which allows your phone to handle larger amounts of information to increase data speeds. Lastly, Big Red is employing LTE U and LAA which will allow your phone to access unlicensed Wi-Fi spectrum for faster speeds. With verizon at my house, 0.1 mbps download, dropped calls, unable to send picture messages. Verizon use to be great in my are but in the last three years quality went down. After 6 trouble shoot tickets and three years customer service told me too much congestion in your area, we are adding more towers but no time frame for it. With tmobile I have no problem, download speed is 35 mbps. Even sprint gives better service in my area. I don't think T-Mobile like East Texas or just decided to leave that part of the state out. Driving north of Houston on Interstate 59 to Arkansas, you might as well turn your phone off. No Service No Data. Several parts of Louisiana, same issue. T-Mobile has gots to get it together in rural areas outside the city limits. I hope the 600mhz rollout will resolve this. I support these metrics.